Yes, I am making it sound like you need a TON of songs in your book. That's not necessarily true. I'll explain all of that in a wrap-up blog when I get to the end of this whole series. But don't worry, I don't think you need to have 1,341 songs in your book. But there is a reason I'm going through everything I'm going through. It'll all make sense at the end. I promise. BYE BYE BIRDIE - This is where I consider the Post Golden Age era to begin, I really think this period ends with HAIR in 1967, but I'm extending it until 1970 when I think Contemporary Theatre really started, with COMPANY. Again, feel free to yell at me about my arbitrary choices of dates for American Musical Theatre. But I think it's a pretty solid beginning and ending set of dates. And personally, I don't really care if you yell at me, I have a wife and a 3-year old. Plenty of people already yell at me in my life. Love you babe. 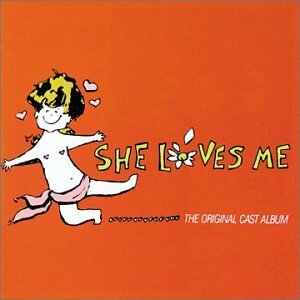 This period is a relatively weird period for the American Musical, it contains a bunch of different kinds of shows, from BYE BYE BIRDIE to OLIVER to HOW TO SUCCEED IN BUSINESS WITHOUT REALLY TRYING to SHE LOVES ME (one of the best musicals ever written, period.) to FLORA THE RED MENACE to 1776 to SWEET CHARITY to HAIR. It's a pretty eclectic mix of musicals and styles and writers. So let's break it down by year. But first if you don't know the score to SHE LOVES ME. Buy it, right now. Or listen to the YouTube Playlist below. Do not pass GO until you listen to this entire score. Okay... By the year. This is just a quick 5 per year from 1960-1970. This is by no means a definitive list of anything... Just the first 5 musicals I could think of for each year, or I could find on Google. Life Is - ZORBA - the best opening of a musical ever. If you don't agree with this assessment... You are wrong. Also - 1969 Tony Awards sposored by Virginia Slims... Those were the days. Purlie - 1970 Tony's. Best Tony performance ever. Hands down. Seriously, Melba hits a Q sharp at the end of I GOT LOVE. We'll break this down mostly by composer. Things get super wish-washy now with how they are broken down. So I think composer is the best way to do it. I'll make this a 2-parter. Then we'll dig into Pop/Rock Musicals with a special guest to help me out. Glad to be back digging into the audition book. These posts are mostly a run-down of musicals and writers. But we'll tie it all together in some wrap-up blogs. February and March classes have been announced, make sure you check them out! I also have a surprise planned for Thursday, Feb 1st, so make sure you are signed up for the Newsletter to find out what it is. Official free class announcements will be made tomorrow as well. These classes will only be open to Newsletter subscribers at first. Make sure you sign up for our Newsletter on the Home page or the top of the main Blog page.